We are people with a purpose - we come from different backgrounds and different places - but we share a passion and commitment to supporting education programs which are the most effective way of achieving positive and lasting change for the women, children and youth we work with in Kenya, India, Uganda and the Philippines, as well as for their schools and communities. Mary Latham is a chartered accountant, company director and consultant. She has worked in the financial services industry in Australia and England for 15 years, and in the Australian not-for-profit sector since 2006. She is also a director of Australian Conservation Foundation, Australian Podiatry Association (Vic) and IDC Secretariat (Australia). 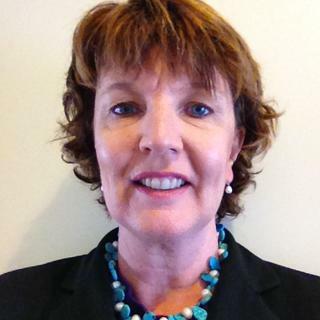 Mary joined the Board in 2012 and is a member of the Governance Committee and the Audit & Risk Committee. Since joining ChildFund Australia as CEO in 2006, Nigel has overseen the expansion of its child-focused development programs in Cambodia, Laos, Myanmar, Papua New Guinea and Vietnam, as well as continuing aid and development work through ChildFund Alliance partners in Africa, Asia and the Americas. Nigel has a long history of working with vulnerable and marginalised children, both in Australia and internationally. Prior to his role at ChildFund, he was CEO of the Association of Children's Welfare Agencies (ACWA), and Director of Children and Youth Services with Centacare, Catholic Community Services, Sydney. "The evidence is clear that we are making significant progress for the world’s poorest children and their families. Australians should feel very reassured that long-term development programs are helping reach important goals to reduce extreme poverty. It is within our power to eliminate global child poverty through a sustained and intensive effort." Adrian is a values-driven leader and advocate committed to the protection of the rights of children. A qualified chartered accountant, Adrian has over eight years senior executive experience in Australia and internationally, most recently as Acting CEO, COO and CFO of UNICEF Australia, where he led the successful implementation of innovative systems across the organisation. Originally from Bulawayo, Zimbabwe, Adrian’s breadth of experience across different cultural contexts has allowed him to develop an assured and enabling leadership style that aligns to his sense of purpose and integrity. Adrian is Treasurer and board director of the Refugee Council of Australia. "Receiving an education has so many benefits and opens up so many opportunities on so many levels. For me, education is not just a means to so-called 'good' jobs - it's a pathway to a much better life. The next Albert Einstein could be a 10 year old in a disadvantaged community in the Philippines or Kenya or Uganda, whose potential is not being achieved because his or her school is not able to provide a good learning environment. Helping the school to improve will help that 10 year old become the best person that he or she can be in life ... and to achieve great things like Einstein." Dr Frances Booth has been a long-time and generous iCARE supporter. As girls in developing countries are usually the main carer in the family, they are likely to marry very early, have more children and frequently there are more problems. Frances is a believer in giving girls the opportunity to break the poverty cycle by gaining access to an education. Highly educated women tend to marry later and have fewer children, more manageable families and family life with a greater chance of a more stable environment. Frances noted that the support of an individual family benefits the entire community because this is what child sponsor-ship aims to do. So Frances is interested to see how individual child sponsorship compares with iCARE’s new policy of supporting community-based activities. “There are several child sponsoring organisations but I like the fact that iCARE is a Christian organisation"
Wendy and Rhys have been long-time and generous supporters for nearly 35 years. Wendy and Rhys have 2 adult children and 3 gorgeous grandchildren and live in regional Western Australia. Having been involved in several church groups, they were initially motivated to support iCARE by the realisation of how fortunate they are to live in such a wealthy country as Australia. They believe that financially supporting iCARE is a way to share their Christian values and the benefits of living in a wealthy country with some of the poorest children in the world. Wendy and Rhys had the opportunity to visit 2 children and their families as well as 3 schools in Kenya. They now have a special interest in the country. Whilst in Kenya, they met with the school teachers and participated in the school assembly and tree planting. They shared meals with the families of their sponsor children and were humbled by their generosity. Their first-hand exposure to the iCARE programs has shaped their values. Thank you Wendy and Rhys for your loyal and generous support over the years. David is a Ugandan national, a professional accountant member of CPA and ACCA, with MSc in Accounting and Finance, a BSc (Hons) Accounting and is undertaking a PhD in Finance at Victoria University, Melbourne. With more than 10 years’ work experience in accounting, finance and audit for donor fund organisations, government and private sector, as well as teaching business management and accounting for five years in Uganda, David well understands the positive impact of the work iCare is doing in in developing countries, especially Uganda and Kenya. In becoming an Ambassador for iCare he is keen to use the power of education to transform the lives of women, children and youth to break the cycle of poverty. David will be visiting Uganda in October and November 2016, and we look forward to him visiting iCare’s projects there.